Home / Posts Tagged "business owners"
The importance of a financial plan. 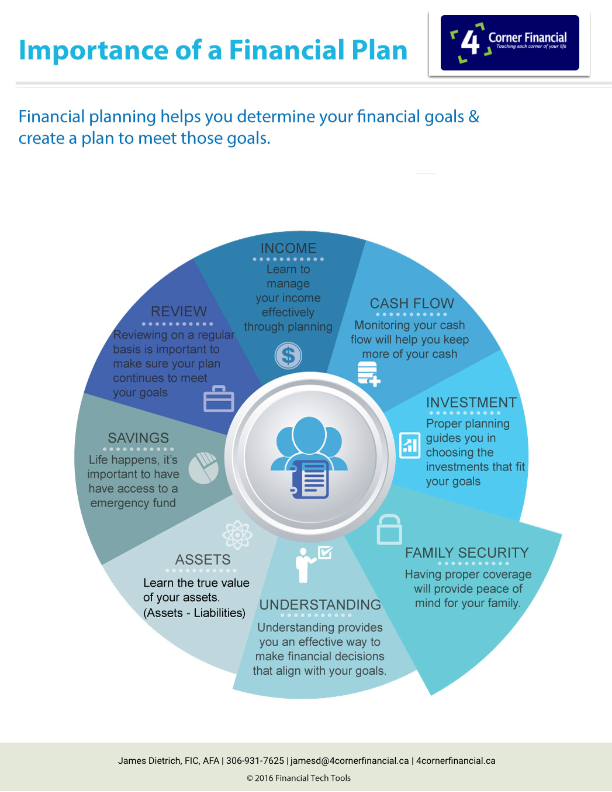 Working with us to create your financial plan helps you identify your long and short term life goals.Talk to us to see how we can help you. Writing an estate plan is important if you own personal assets but is all the more crucial if you also own your own business. This is due to the additional business complexities that need to be addressed, including tax issues, business succession and how to handle bigger and more complex estates. Seeking professional help from an accountant, lawyer or financial advisor is an effective way of dealing with such complexities. As a starting point, ask yourself these seven key questions and, if you answer “no” to any of them, it may highlight an area that you need to take remedial action towards. Have you made a contingency plan for what will happen to your business if you are incapacitated or die unexpectedly? 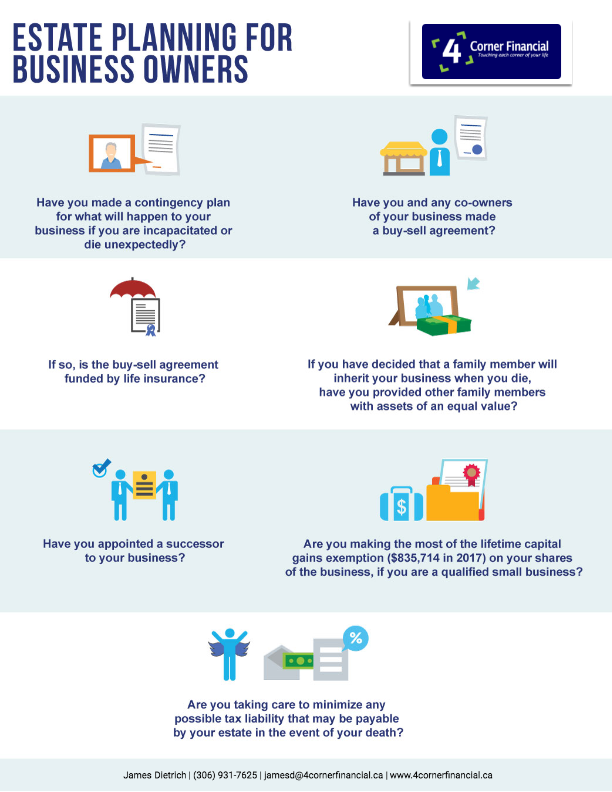 Have you and any co-owners of your business made a buy-sell agreement? If so, is the buy-sell agreement funded by life insurance? If you have decided that a family member will inherit your business when you die, have you provided other family members with assets of an equal value? Have you appointed a successor to your business? Are you making the most of the lifetime capital gains exemption ($835,714 in 2017) on your shares of the business, if you are a qualified small business? Are you taking care to minimize any possible tax liability that may be payable by your estate in the event of your death? The process of freezing the value of your business at a particular date is an increasingly common way of protecting your estate from a large capital gains tax bill if your business increases in value. To achieve this, usually the shares in the business that have the highest growth potential are redistributed to others, often your children, meaning that they will be liable for the tax on any increase in their value in the future. In exchange, you will receive new shares allowing you to maintain control of the business with a key difference – the value of the shares is frozen so that your tax liability is lower and that of your estate when you die will also be reduced.